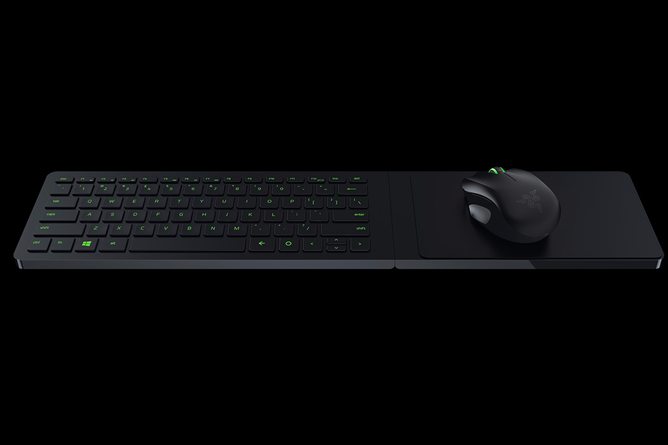 Yes, the Turret, that super-cool wireless mouse-and-keyboard combo that Razer announced when the Forge TV was unveiled way back in January of 2015. 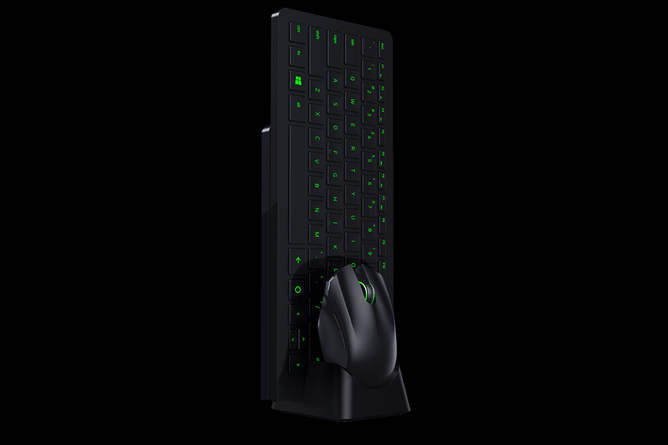 As of today you can finally buy one on Razer's online store. It combines a gaming-grade backlit chicklet keyboard, a Bluetooth mouse, and a slick fold-out magnetic mousepad to keep said mouse comfortably attached. This accessory was made for PC gaming in the living room, and since it was one of the most interesting parts of the Forge announcement, we've been waiting for it ever since then. The Turret can operate over Bluetooth or with the included 2.4GHz USB adapter, so it's good to go with any Android TV device, or even an Android tablet or Windows PC. I suspect this is so that Razer can market the Turret as a platform-agnostic product for living room gaming, since the company has essentially abandoned the idea of PC gaming on the Forge. That's great news for owners of the far more popular and functional SHIELD Android TV who use it for streaming PC games, as well as anyone who uses a living room PC or a gadget like Steam's Link for remote play. It's even possible to use the Turret as a conventional mouse and keyboard set for a desktop PC, though I suspect the permanent mousepad would make that awkward. The keyboard-and-mouse combo recharges via an all-in-one dock, and with 10-key rollover and a 3500DPI mouse sensor it's a serviceable (if not top-of-the-line) setup for dedicated gamers. The Turret sells for $160, which is actually $10 more than the Forge TV bundled with a controller. 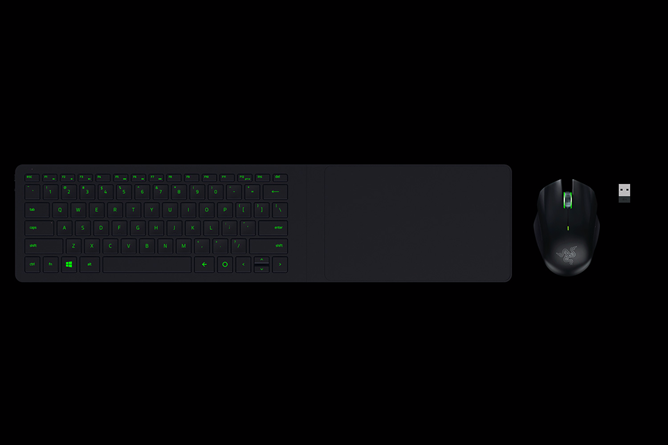 But since Razer's top-of-the-line wireless PC mouse costs $150 and its most expensive keyboard is an eye-popping $250, it's not really out of line with the company's premium image. It's an undeniable extravagance, but since there's nothing quite like it on the market at the moment, PC gamers who have heavily invested into a living room setup might be tempted to pick one up.